The Winter ROBINS HAVE RETURNED! Right on schedule, the robins have returned to our East Gloucester neighborhood! They were seen flocking to the holly berries, crabapples and sumac. This morning it was bleak and drizzly; I hope to see them back in our neighborhood on a sunnier day! 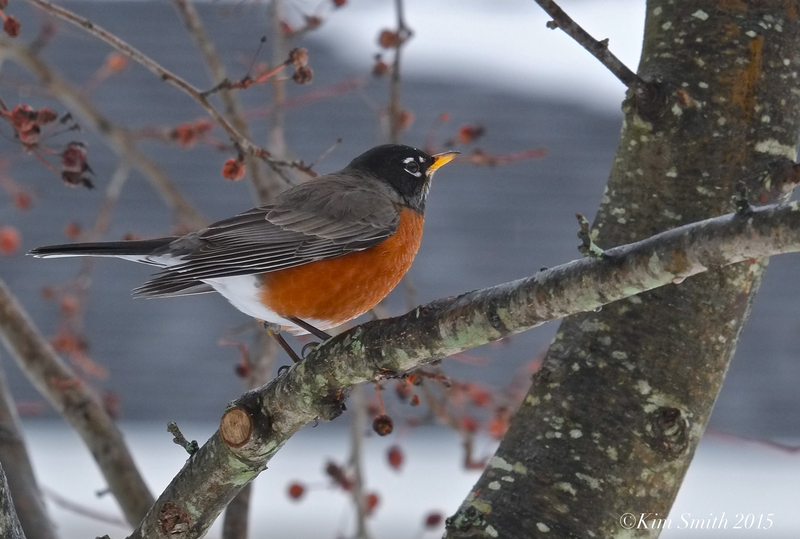 This entry was posted in Birds of New England, Home and Garden, Songbirds and tagged American Robin, birds of cape ann, crabapple, Robin, robin nestlings, round robin red breast, Turdus americanus, Turdus migratorius on January 31, 2015 by Kim Smith.